Canadian Soccer Business (CSB) located in Toronto is taking Team Canada and the new Canadian Premier League (CPL) launching in 2019 to new digital territories by acquiring sports tech company, Stadium Digital. Football fans across the nation can look forward the delivery of compelling content and live video streams as part of CSB’s mobile distribution strategy to provide more engagement between fans and their favorite sport leagues, teams and clubs with an eye towards the United 2026 World Cup. The Sports Techie community blog has followed the growth of Stadium Digital, a full service digital media company and Canada’s leading Fan Engagement platform provider. The impact CSB will have on football across the country touching all races and generations as it march towards United 2026 is going to be fueled by sports technology. The two companies operating as one now fully support sports properties and enhance partnerships to realize the full potential of their brand and content rights. Stadium Digital’s intellectual property as a fan engagement platform provider fits nicely with CSB’s media and partnership strategies for Canada Soccer during their ten-year agreement and with the CPL. The company launched in 2014 with a mission to mission to bring world-class fan engagement platforms to Canada’s top sports properties. The sports tech pioneer has proven long-term partnerships with more than 80 of Canada’s top professional leagues, teams and national federations. Stadium Digital clients include the CHL, WHL, QMJHL, OHL and all 60 teams, Hamilton Tiger-Cats, Winnipeg Blue Bombers, NBA Canada, Toronto Marlies, Belleville Senators, Cycling Sports Group (Cannondale), Golf Canada and provincial associations and the Greater Toronto Hockey League. As a result of the acquisition, President Mark Silver is now the new Chief Digital Officer of CSB. The entire Digital Stadium team will assist Silver with optimizing league, club, mobile and venue platforms through the creation and management of content and technology solutions designed to offer products in the areas of sponsorship, fan engagement, streaming, ticketing and e-commerce. Stadium Digital currently produces the award-winning All Access and ShowDown loyalty and engagement programs along with delivering national web networks for national and provincial associations. Scott Mitchell is CEO of the CSB as well as one of CPL’s founders together with tech entrepreneur and sports team owner Bob Young. His long term vision for CSB is nicely complimented by Stadium Digital. CSB has a suite of top-tier national assets that comprise the backbone of soccer in Canada. This includes representation for all commercial inventory, corporate partnerships and broadcast rights related to Canada Soccer’s core assets including its national teams, along with all rights associated with the CPL. The CSB manages all rights related to the country’s men’s and women’s national teams, naming rights to new and renovated CPL stadiums and represent the Canadian Championship – Canada’s professional club championship that features all Canadian professional clubs. They will also invest in grassroots programs that will help Canadians from coast-to-coast. This will create opportunities for players, coaches and referees to develop necessary skills. 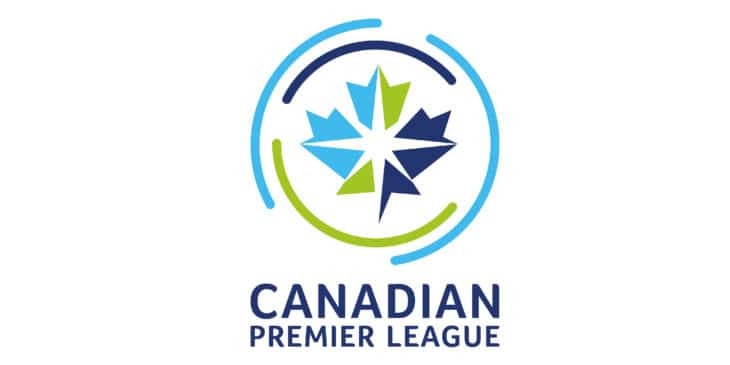 The Canadian Premier League is ready to deliver a domestic men’s professional soccer league across Canada to debut spring of 2019. The plan is to conduct matches in world-class and sports tech-driven venues while forming partnerships with community-led ownership groups. The CPL logo will be worn with pride by clubs on Canada Day and when representing the nation in tournaments including the Concacaf Champions League and/or FIFA Club World Cup and semi-finals and finals of the Voyageurs Cup. Sports Techie, a Premier League is the international real deal. I would say at least 25 to perhaps as many as 50 percent of the earth’s population knows something or other about the British Premier League. The Indian Premier League (IPL) is the pride of India and has the world’s top cricket players. More than a billion fans worldwide love the IPL. The U.S. has Major League Soccer (MLS) and Mexico has LIGA MX, both very successful football league’s and ranked top ten on the World. Therefore, I expect the CPL to be a tremendous success. It should be flourishing by United 2026 when Canada, Mexico and the United States will co-host the World Cup together for the first time. CSB is powering the digital assets of Team Canada and the CPL with the help of Stadium Digital, Mark and his team. This sports tech news sounds like a soccer win-win-win to me, the way business should truly operate.